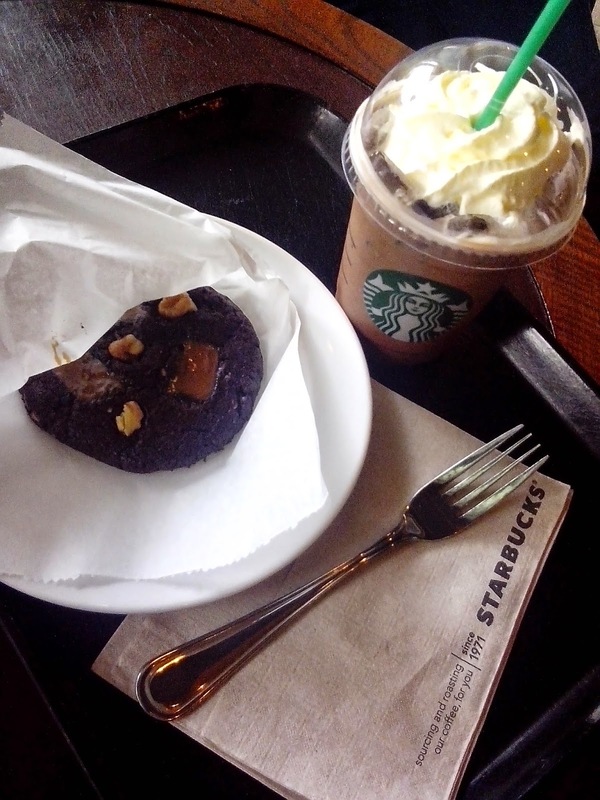 I'm not really sure when Starbucks started offering this cookie but its l-o-v-e at first bite. The cookie is chewy (just the way I like it) and the caramel- gooey. And oh, there are walnut bits. Just make sure to request that they "warm" the cookie for you, otherwise you won't enjoy its chewiness and gooey-ness.